The tape shows that the two women are still alive, but the claim that they are held by the al Nusra front seems unreliable. The decision to post the video could be an attempt to pressure the Italian government or an offer "to sell" them to other groups. 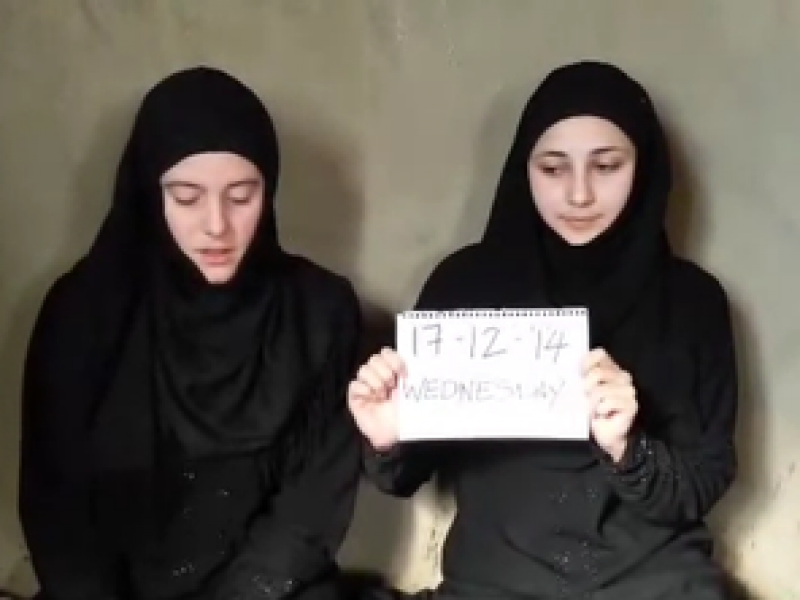 Rome (AsiaNews) - Fear is growing in Italy over the fate of Vanessa Marzullo and Greta Ramelli, two Italian aid workers abducted five months ago in Syria, after a video was posted online in which the two ask the Italian government for help and express fear of being killed. Titled 'al Nusra Front detains two Italian employees because of their government's participation in the coalition against it,' the 23-second video shows one of the two women holding a piece of paper with the date 17 12 14 (17 December 2014), Wednesday. The YouTube posting shows that the two women are still alive, but the claim that they are held by the al Nusra Front appears unreliable because it was not posted on any official accounts belonging to the group, which is al Qaeda's Syrian affiliate. In previous hostage videos by the group, detainees were shown in front of an al Nusra's flag. The decision to post the video online could be an attempt to pressure the Italian government or an offer "to sell" them to other groups.